This year, Treatt colleagues Ken Ferguson, Health and Safety Manager from Wymondham and Bruce Sinclair, Engineering and Facilities Manager from Saffron Walden, together with former colleague Barry Kirby from Diss are entering the gruelling Paris-Brest-Paris (PBP) 2019 cycle challenge to raise money for Mind. The challenge starts on the 19th August at 5am, with 750 miles to be completed in less than 84 hours, cycling back and forth between the capital of France and the Atlantic city of Brest. The official route involves 15 timed checkpoints to pass through as they crisscross the Loire Valley and Brittany. In order to achieve the 200 miles per day, there will be little time for sleep, just a couple of hours each night, with sleep deprivation being one of the hardest things to prepare for that will be endured during the challenge. This is the final event in a trilogy of long-distance bike rides the team are undertaking in order to raise money for the mental health charity, Mind. 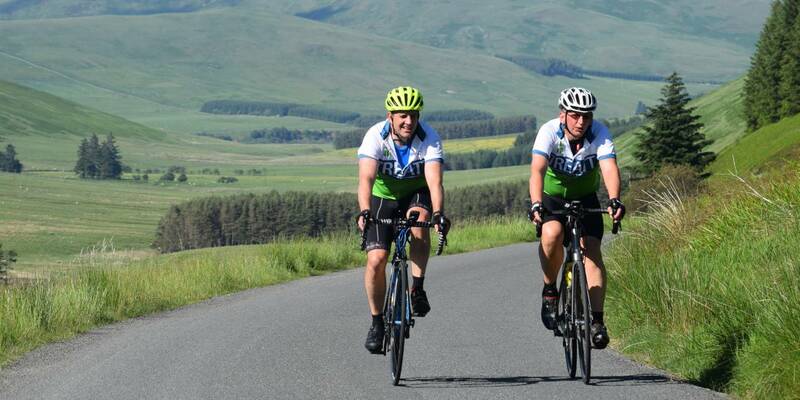 The previous events being completing the 900-mile London-Edinburgh-London 2017 challenge in just under five days and in 2018 being the first amateur cyclists to conquer the 500-mile circumnavigation of the north coast of Scotland (NC500) non-stop in just over two days. The team from Treatt have so far raised over £12,000 for Mind. The Paris-Brest-Paris is the oldest established cycling event in the world, predating the Tour de France by more than a decade. The inaugural event was held in 1891 just as pneumatic tyres were developed for bicycles. The 2019 edition will only be the 19th time this prestigious event has been held in its 128-year history. The riders, Ken and Barry, along with their Team Manager, Bruce, have been training hard for the last five months to build the fitness endurance that this event requires. Along with competing in pre-qualification and qualification rides. The challenge is open to just over 6,000 cyclists globally and competition to secure a place is fierce. “We started back in early September with a 375-mile non-stop pre-qualification ride. Pedalling from Great Dunmow to Hull and back in just 30 hours” said Bruce. “We’ve just followed that up with our first qualification event by completing a 130-mile route across the Wessex Downs on the 19th January in just 12 hours. The fundraising campaign is also well underway and to date over £1,000 has been raised. To donate please visit: uk.virginmoneygiving.com/PBPTeamTreatt.